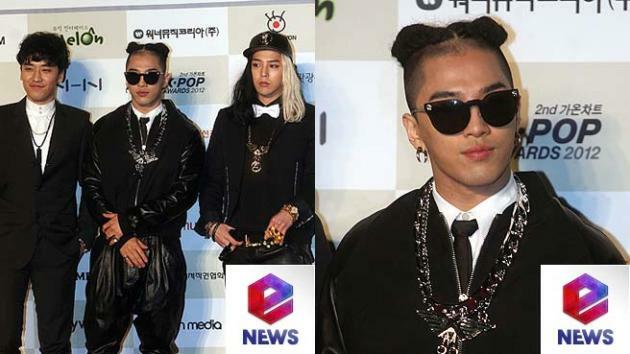 Big Bang walked away with the most awards at the 2nd Gaon Chart K-Pop Awards, held on February 13 in Seoul. The group won the awards for downloads in February and March as well as an award for album sales in the first quarter of 2012. Its fifth mini album, released in March 2012, brought on the awards. At the time of the album′s release, the group made issues for choosing all four songs in the album, Blue, Bad Boy, Love Dust and Fantastic Baby, as promotional singles, and all of the songs did well in the download charts. The Gaon Chart K-Pop Awards honors those songs and singers who have been loved in the previous year. It awards one team each for downloads every month and one team each for album sales in every quarter.